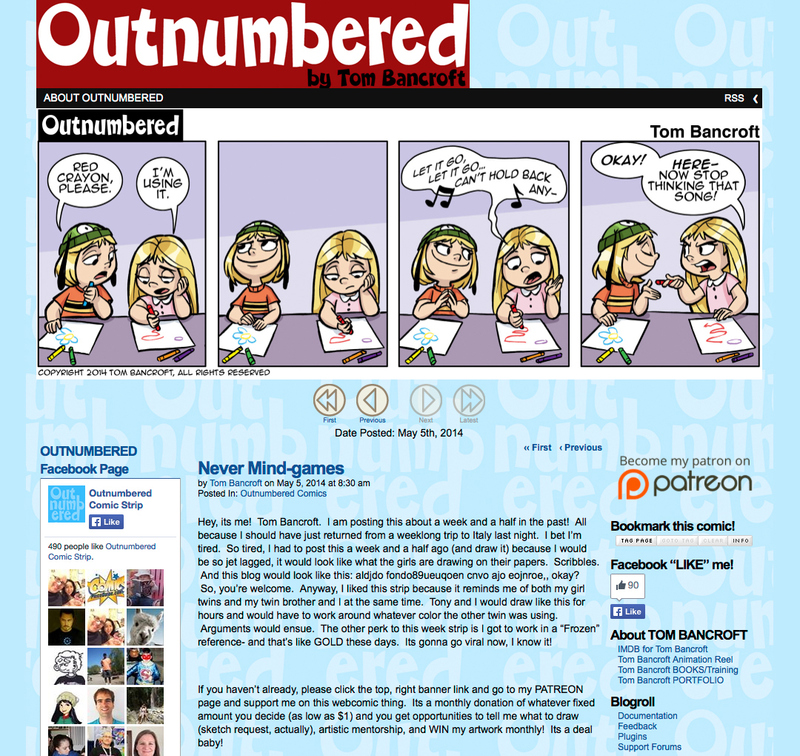 A facelift for Tom Bancroft's webcomic blog OutnumberedComic.com. Tom Bancroft's comic strip, Outnumbered. Tom is using ComicPress for WordPress which suits his needs. Our goal was to highlight the comic strip and Patreon support page as well as present Tom's products and social media links in an accessible organized way. I handled all of the visual layout while Ryan integrated the changes into Tom's existing website. You can view the active site here. Read some comics while you're there. They're great! All Outnumbered comic art and realted material © 2014 Tom Bancroft.